Inform people living in three specific Queens neighborhoods that a new recycling program and bin is coming to their area without them having any prior knowledge of it. 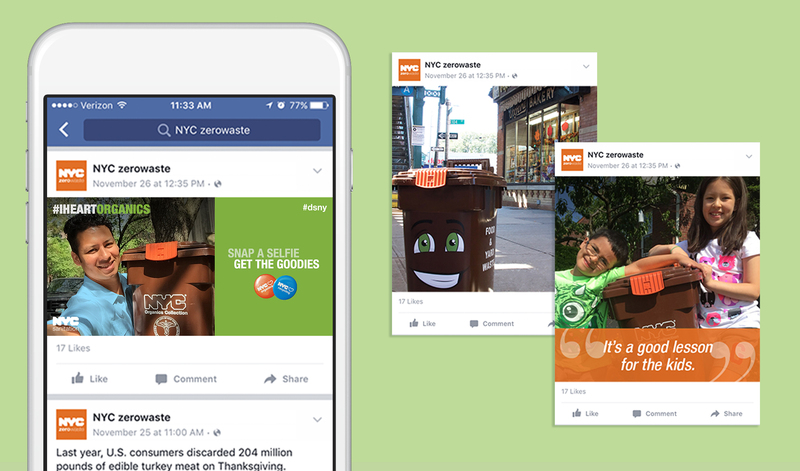 Utilize geotargeted social media ads so the only people seeing them are from those three neighborhoods. 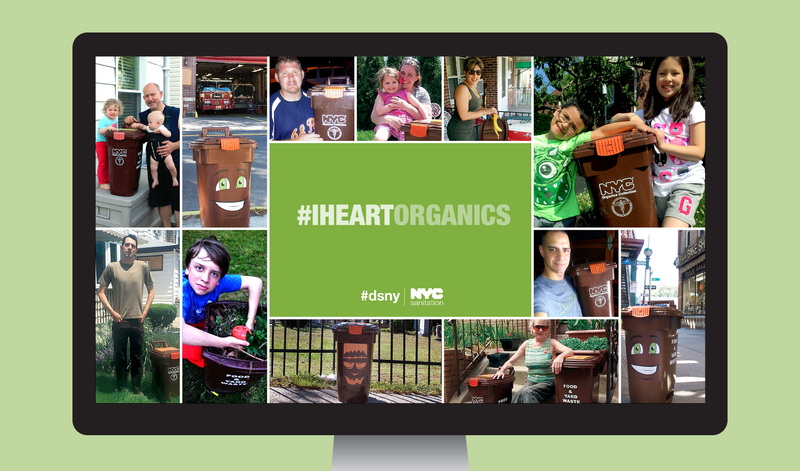 Also, create a series of content that takes the people in the neighborhood through the awareness funnel: introducing the new bin through photos of characterized bins placed throughout their community, a hashtag campaign so people could submit photos when they received their bins, and an application that collected, shared and showcased testimonials about the program from those in the neighborhood. The messaging was delivered over 107,000 times to people in the three neighborhoods, and they produced over 2,100 engagements on those messages.